A Build Your Own Sandwich bar is an easy way to please different appetites if you’ve got a house full of hungry picky eaters this summer. First of all, a little giveaway business to take care of. The winner of Friday’s Cookie Butter Giveaway is Wen. (I swear we used a random number generator, but have to admit, there is a nice ring to Wen is the Winner!) Wen, we’ll email you to get an address where we can send your cookie butter. Congratulations! It’s summer and many of us, either married to school teachers or with school age children, have extra mouths to feed at lunch. Most of the year, lunch is my meal, the meal that doesn’t have to make sense, or be well-balanced. It’s the meal no one’s going to comment on or scoff at because they don’t like what I’m serving. If I’m lucky, I even get to eat it alone while the baby is napping. It’s usually not planned and often just a plate of randomness, if I even actually put it on a plate. I like to have one meal a day that is mine, all mine. Not that I’m even close to ready to send Jared back to work and into the dreaded long days of football season, but I admit sometimes during the summer I miss my lunch. During these months, I get asked daily “What’s for lunch?” To which I spout off a list of things I know we have on hand. Somehow a handful of almonds, a bowl of leftover spaghetti, and a sliced avocado, does not sell well as a collective lunch offering. My well meaning husband will kindly decline and offer to make his own lunch instead, and by make, I mean open a bag of his jalapeno-flavored pretzels or serve up a plate of pistachios. I cannot, in good conscious, let this happen on my watch, so I either go in the other room and look away or pull a lunch together that the both of us can enjoy. 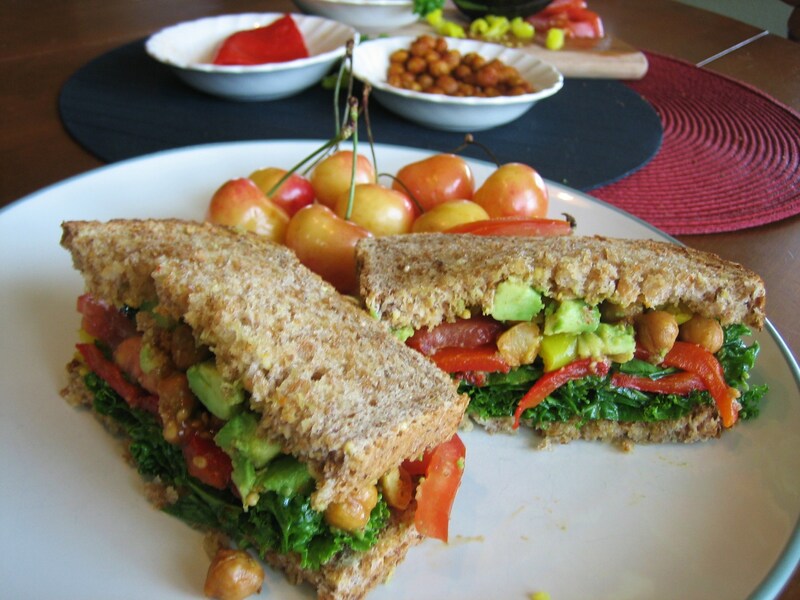 What are your favorite gourmet or out-of-the-box sandwich toppings? Heat oven to 400 degrees (I use my convection oven’s roast setting and it works great if you have one). Either line a baking pan with parchment paper or coat with olive oil or cooking spray. Drain & rinse a can of chickpeas. Pat dry with a paper towel. Put them on the baking pan and rub olive oil (you don’t need much, maybe 1/2 tablespoon), and season generously with your favorite seasonings. I like smoked paprika, seasoning salt, and a touch of cayenne, but any combo of spice works. Seed and cut a red pepper in half or thirds and put on a separate baking sheet. Put both pans in the oven and cook for about 15 minutes (the convection oven will cook faster, closer to 10 minutes). 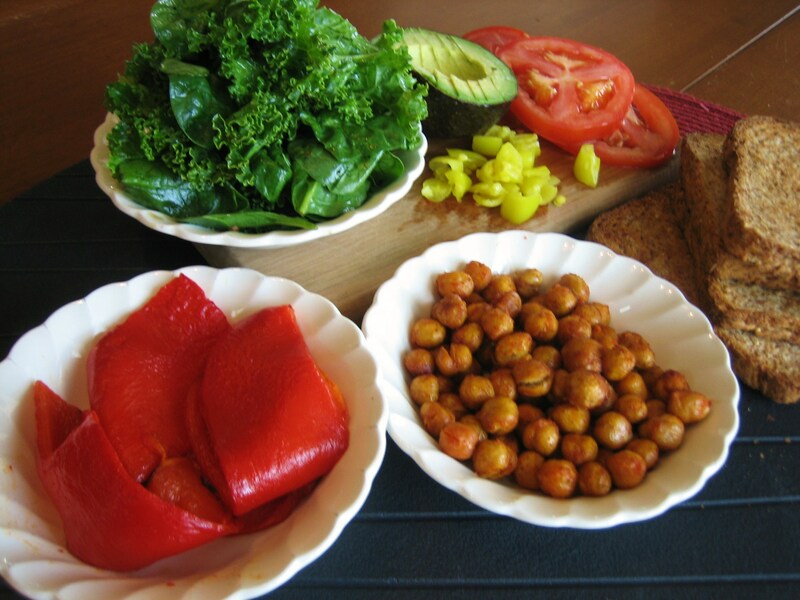 The chickpeas should be crunchy on the the outside, but still have a little chew in the middle. The skin of the red pepper should be charred and bubbling up in places. You can stick them under the broiler for a few minutes to char up quickly. Immediately put the red peppers in a bowl and cover tightly with plastic wrap. Let sit for 3-5 minutes. The steam should loosen the skins and make them really easy to pull off. 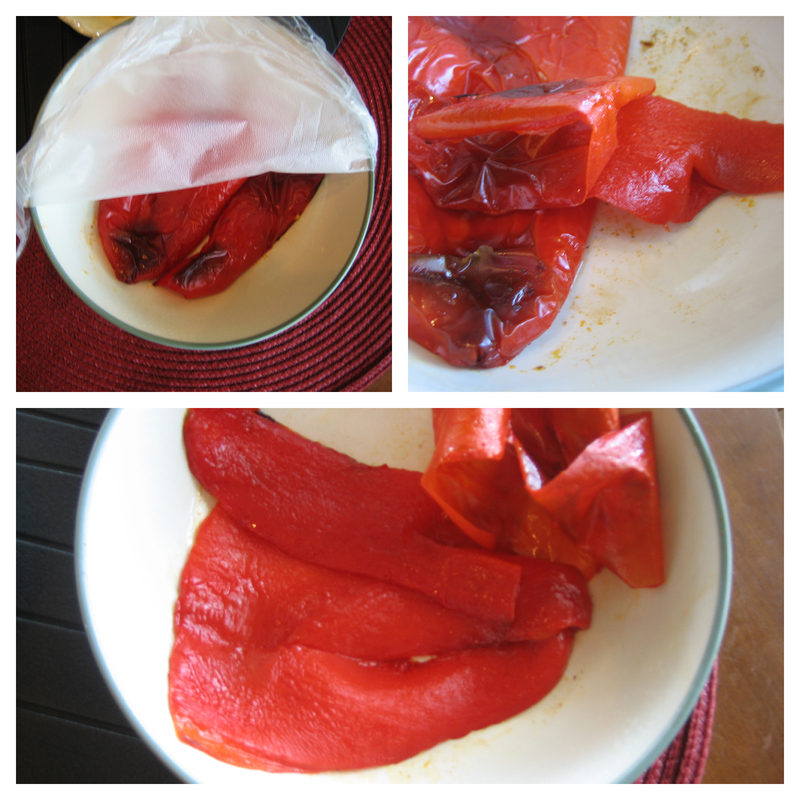 Place roasted peppers in a bowl covered with plastic wrap. The steam loosens the skin and makes it easy to peel right off. To serve, put everything out on the table and let your family taste the ingredients and build their own combination. It could be super casual on a typical Tuesday afternoon or, with the right tablescape and ingredients, really elegant for a shower or reception. In fact, I think I just talked myself into doing a BYOGS bar for Jackson’s upcoming birthday party. There will be something for everyone from the pickiest of eaters to the snobbiest of gourmets. This is a brilliant idea. 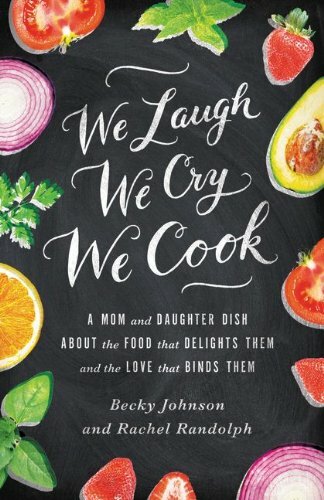 I had to laugh reading this, remembering how your Granny used to say, “I married my husband for life, but not for lunch.” She loved her lunchtime freedom! Greg works at home all day, so I’ve found the trick with him is just to have plenty of leftovers. He’ll eat & “make” anything he can stick on a plate and nuke for a minute. Anything beyond PBJ, on a sandwich, overwhelms him because it might call for more than two ingredients, or take several jars, knives…. its just all too much. I love this Granny quote!